Paul kicks out another Workshop jam! Today he’s actually fulfilling a special tutorial request made by RtR reader Gwen. 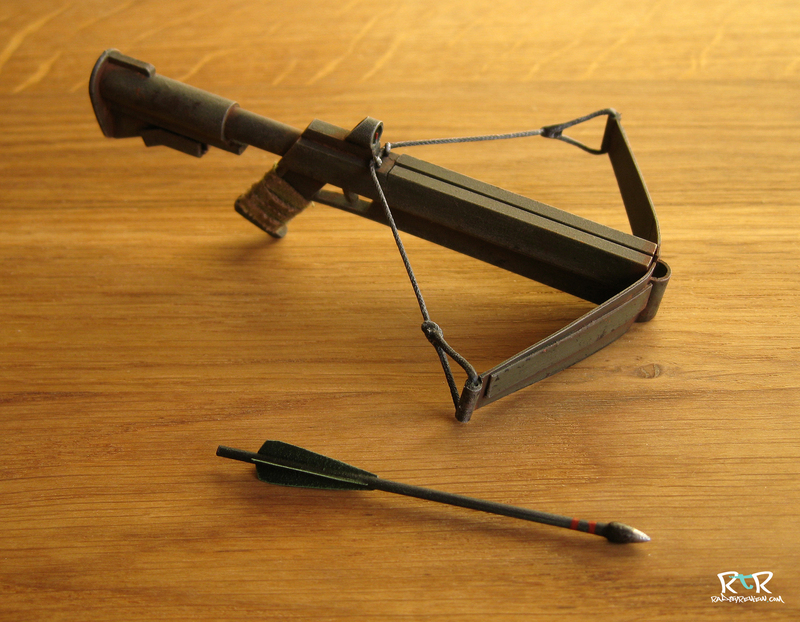 We were asked if we could shed some light on how to make a modern crossbow. I responded by saying that I’d do my best. It turns out my best is asking Paul! 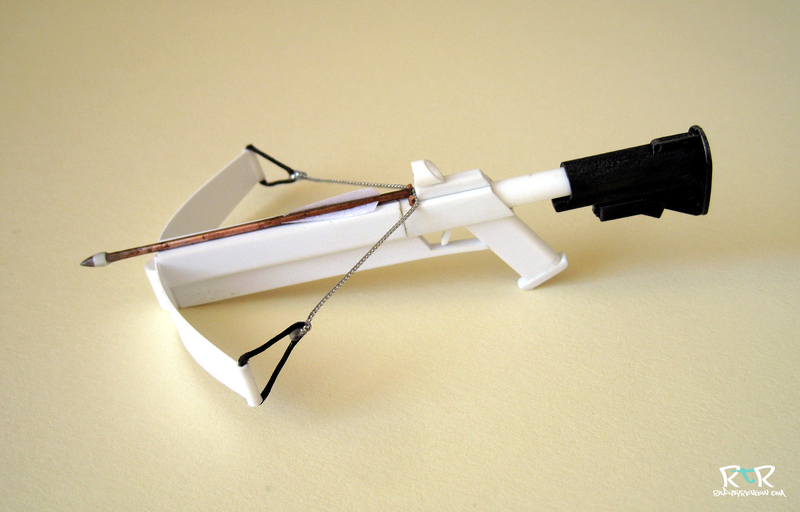 once again with absolute flying colors..
About a week ago I was asked if I could “figure out a way to make a crossbow”. I wasn’t sure whether I would make a good job of one; but I saw it as a challenge and went for it. I scribbled down some notes below to describe how I did it. 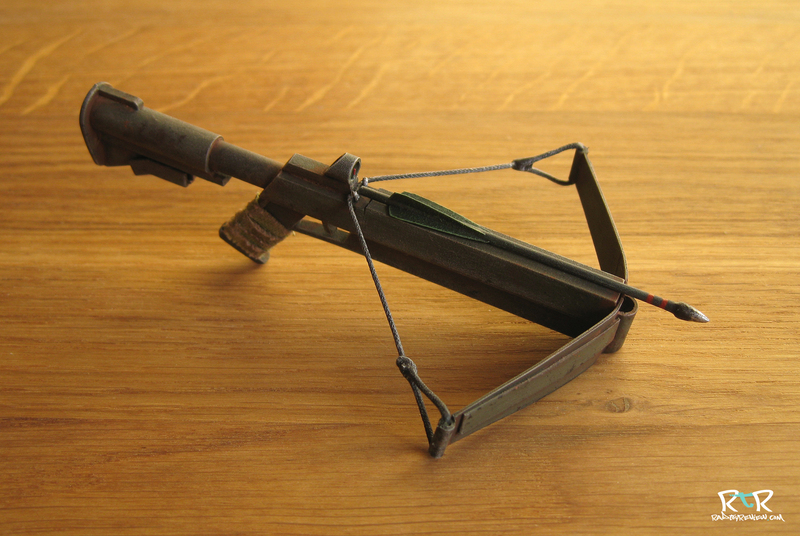 To start the project I needed to research crossbows. I printed out a few pictures of some from a web search and pulled out my stock of Evergreen Scale Models strip styrene. 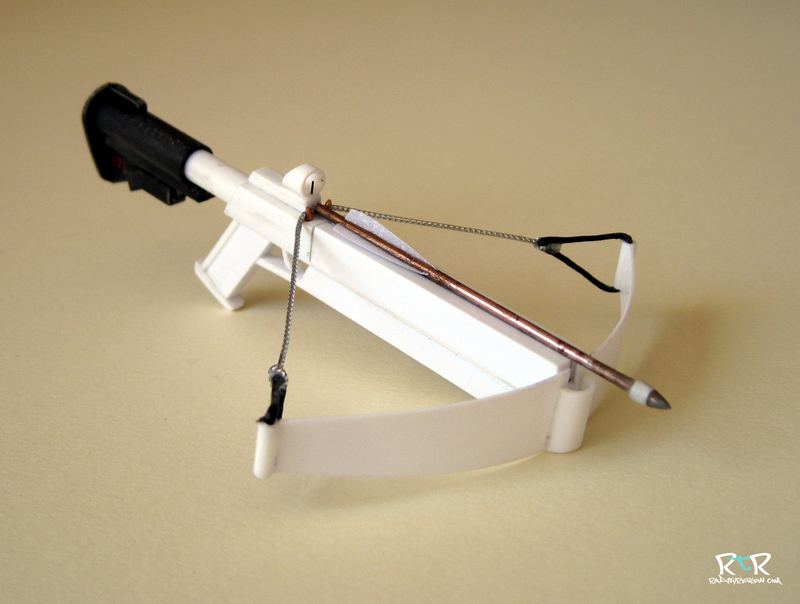 I then did a sketch of the crossbow bearing in mind the strip styrene I had. To help move things along, I pulled a M4 shoulder stock out my ‘bits box’ to work into the design. You could probably cut one off of any old 1/6 rifle you have lying around. 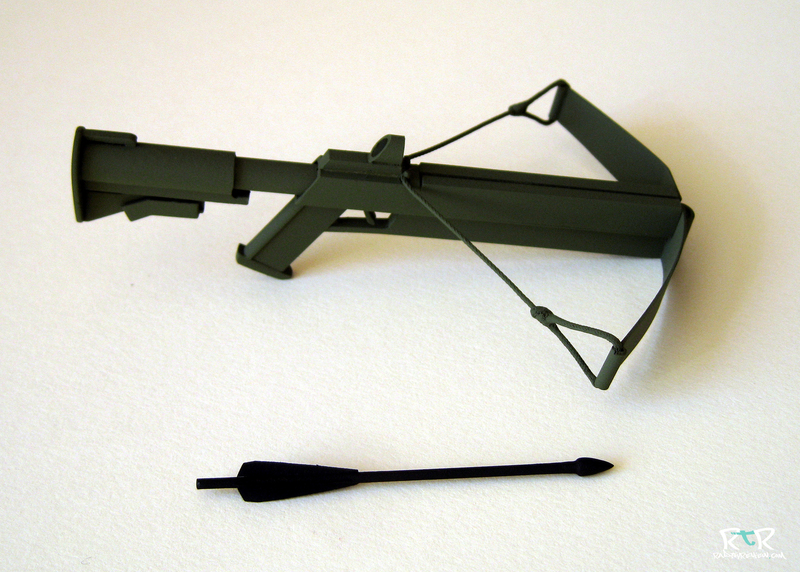 The sketch was done to the same size as the crossbow which will help in cutting the styrene exactly to size. On to the making! In previous articles I have mentioned the materials, tools and paints I use. 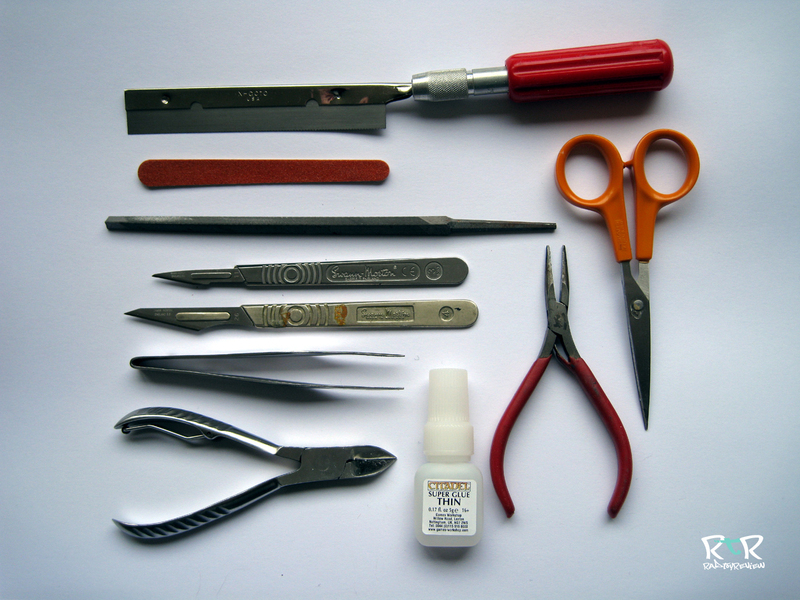 Here are those tools again, if only to show the saw that was really useful in making this model. Also I want to be sure to mention the glue again, which is a thin super glue that can be obtained from Games Workshop vendors. The great thing about it is, it comes with a little brush inside which gives you loads of control. 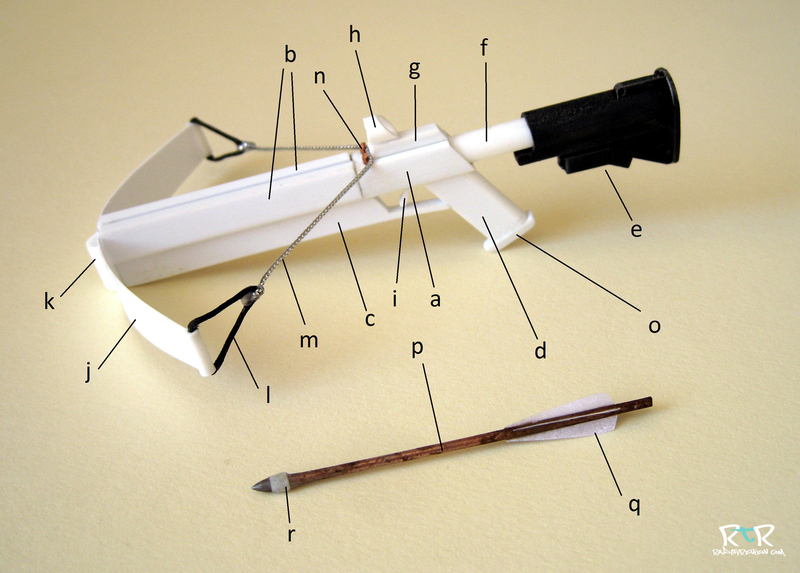 The picture below shows the crossbow with the parts labelled. The notes below explain how the parts went together. Part [a] is a piece of 6mm by 6mm square hollow section styrene. 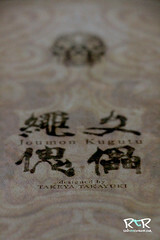 The rear of which has been cut at an angle. After about 20mm, the front top of the section is completely cut away to take two pieces of styrene (parts [b]) that will form the channel for the bolt fletching. Parts [b] are two pieces of 6mm by 2.5mm solid styrene, spaced slightly apart and glued to part [a]. The gap between parts [a] and [b] are filled with super glue by simply painting into the gap several times until it was filled. Part [c] is also a piece of 6mm by 2.5mm solid styrene glued centrally along the bottom of part [a]. I used the handy modelling saw to cut the trigger guard out from the rear of this piece. Part [d] is another piece of 6mm by 2.5mm solid styrene. A piece of 3mm semi circular styrene is glue to the back of this piece to shape it to be more like a hand stock. Part [e] is the M4 shoulder stock. Part [f] is a piece of 5mm tube which fitted perfectly into the shoulder stock and part [a]. Part [g] is a piece of 3mm by 2mm solid styrene. Part [h] is a piece of 5mm tube styrene. I made a sight line from some heat stretched sprue from a plastic kit (see pictures below). Part [i] is cut from of 6mm by 2.5mm solid styrene then shaped with a scalpel and sand paper until it looks like a trigger. Part [j] the bowstave, limb or prod (it seems to have several names) is made from 1mm sheet styrene. To get the shape right I folder paper in half and then in half again. I then drew a slanted line from 4mm to 6mm. The centre of the bowstave would cover the end of parts [a] and [b] glued together. I also cut a slot for the bolt fletching to go through. PLEASE NOTE: If I were to attempt this crossbow again I would use slightly thicker styrene sheets for two reasons 1.it snapped under tension whilst the base coat of paint dried, being under tension may have caused this and 2 although the bowstave had a very realistic bow to it, it seemed to straighten out after a while (still not too shabby looking). I did try to improve the bow and also make a repair by gluing two strips of 1mm styrene onto the front. I think it gave it some cosmetic interest as well as served it’s repair purpose rather well. Part [k] is a 5mm tube styrene cut in half. Part [l] is some type of man made fibre cord I found in the bits box. Keep in mind that if you use thread for modelling projects you can usually see lots of fine loose threads that do not look very realistic. Choose wisely. Part [m] the string is again a piece of cord, from a camera I believe. Parts [n] are two pieces of copper wire cut and then slotted through two holes drilled in part [a]. Part [o] is a piece of 3mm by 2mm solid styrene. Part [p] the bolt shaft, is a piece of copper rod. The ‘pointy’ end is filed and then finished of with fine sandpaper. Part [q] the fletching is made from paper. Paper was folded in half and then in half again. A single feather half was cut to make four. These were then glued to the shaft and then painted with super glue to give them a little more thickness/strength. Part [r] is just a thin collar cut from a cotton bud tube. Super glue is then painted onto the end of the bolt to give a better shape. 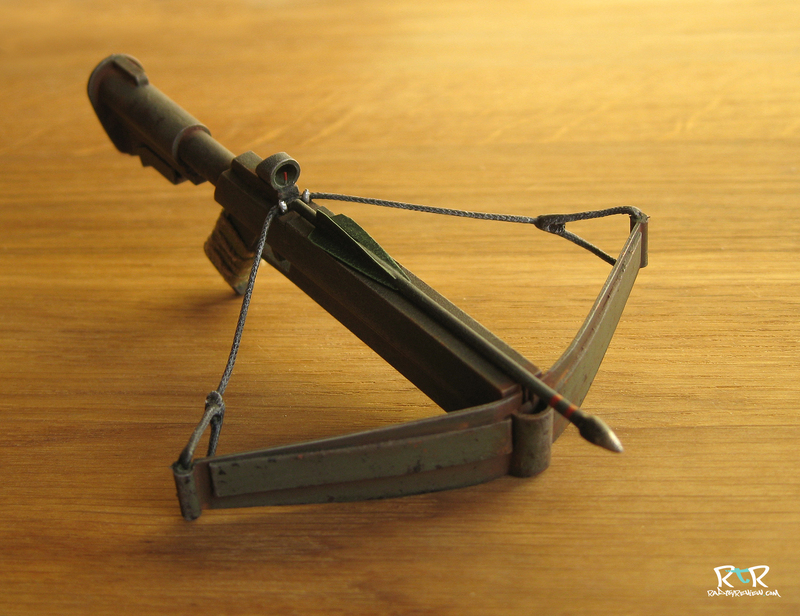 To paint the crossbow, I first washed it in soapy water to get rid of dust and grease marks. Then I base coated it with Humbrol matte light olive aerosol paint. Similarly, the bolt was sprayed with a matte black Humbrol aerosol paint. After leaving the pieces out over night to dry, the crossbow was further painted with some Citadel acrylic paints and MIG weathering pigments. First it was given a wash of Camo Green mixed with Chaos Black. When dry, I dry brushed with Camo Green mixed with Skull White. General wear and tear marks were made with a sponge, putting specks onto the crossbow using Dark Flesh, Chaos Black and Blazing Orange. A wash of MIG old rust was applied liberally to nooks and crannies. While drying I blending it onto flat areas with a cotton bud. The sight line in part [h] was painted with Blood Red. The crossbow string was painted with Chaos Black and then dry brushed with grey made from mixing Chaos Black and Skull White. 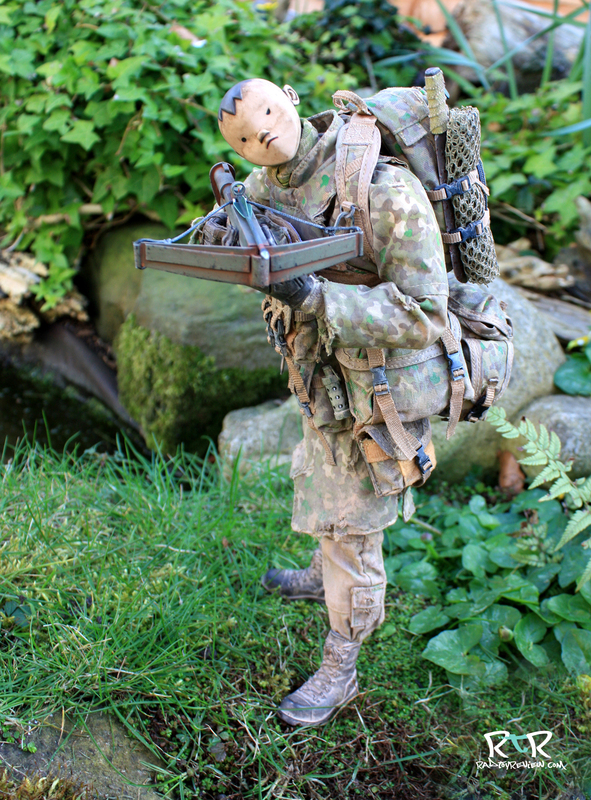 The taping on the hand stock is just some linen wrapped around it and painted with a wash of Camo Green, dried and then glued in place. The black bolt was dry brushed with the afore mentioned grey made from Chaos Black and Skull White. The fletching was painted with Dark Angels Green, and then dry brushed with the same colour mixed with Skull White. Stripes were added with Blood Red. A simple. useful trick here is to just hold a brush in place while rotating the bolt. And FINALLY.. the pointy end was then dry brushed with Boltgun Metal. We hope you enjoyed the latest Workshop. Big thanks to Paul for once again putting this together for us. awesome stuff as usual from brother paul!